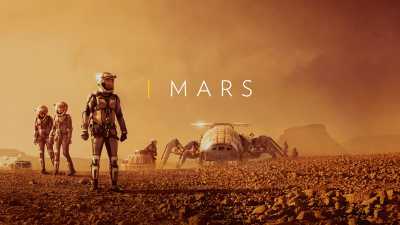 Mars is a documentary and science fiction television series produced by National Geographic, which premiered on November 14, 2016, on their channel, and FX. Prior to its official air date, it was launched in a streaming format on November 1, 2016. It blends elements of real interviews with a fictional story of a group of astronauts as they land on the planet Mars. The series is based on the 2015 book How We’ll Live on Mars by Stephen Petranek. The narrative alternates between the years 2016, 2033 and 2037, using 2016 interviews to explain events unfolding in the story. The series was filmed in Budapest and Morocco.